to live according to the order of Melchizedek. 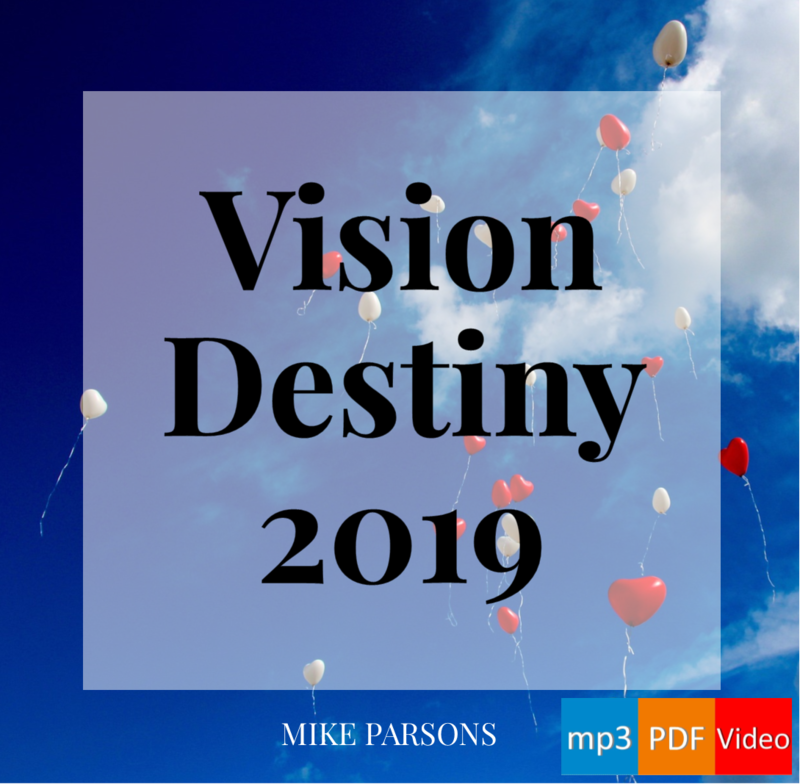 In June 2014, Mike Parsons posted here on this blog seeking fellow-travellers for this journey. You can still join us and interact with hundreds of other hungry seekers of the Kingdom, from all around the world! “[Engaging God] will guide people along the journey following the pathway of relationship, to deeper levels of intimacy manifesting the kingdom through their lives. It will also help them engage the pathway of responsibility, learning how to rule from their heavenly mountain spheres of authority using the judicial court systems of heaven”. “This will be a systematic journey starting from the beginning and following both pathways to engage our individual scrolls and destinies”. [You can find the original post in the comments. Please note that we are now inviting you to take part in the full release of the programme, not the alpha or beta test groups]. 36. The Joshua Generation will bring revelation that wherever the next generation place their feet they will possess. That possession includes not only this world but also the heavenlies. Both are their inheritance and destiny. So Moses swore on that day, saying, “Surely the land on which your foot has trodden will be an inheritance to you and to your children forever, because you have followed the LORD my God fully”(Joshua 14:9). Now as we know, God did not intend that inheritance just to be a piece of land, but the whole world. ‘For the promise to Abraham or to his descendants that he would be heir of the world…’ (Romans 4:13). And Jesus said that all authority had been given to Him both in the heavens in the earth (Matt 28:18-20). The whole of creation groans as it waits for the sons of God to be revealed. When you take your place as sons in the heavenly realms, you are beginning to step up into your inheritance, which is the whole creation. And you will find that you can go anywhere in creation, you will see the galaxies – and actually we are supposed to create too. We are supposed to do the works that Jesus did. Who created the stars, the galaxies? Jesus did. You can go and do the same, and you will. Yes, in eternity, but you can actually go and do it now, if you access some of these realms and especially the courts. The courts of heaven issue papers which confer upon you the authority to act, here on earth. That is sometimes the reason we have been unable to do things we know we ought to have been able to do: we have neglected to go to the courts of heaven to get the necessary authority. Yes, that was because we didn’t know we were supposed to. We do now. 37. The Joshua Generation will encourage a passion to love God, and walk in His ways, and serve Him will all our hearts and souls. Only be very careful to observe the commandment and the law which Moses the servant of the LORD commanded you, to love the LORD your God and walk in all His ways and keep His commandments and hold fast to Him and serve Him with all your heart and with all your soul (Joshua 22: 5). God hates mixture and lukewarmness – and so will we. It will take diligence, and self-discipline, and perseverance, but the Joshua generation will become so focused on walking in His ways and serving Him wholeheartedly that it will set us apart and cause others to take notice. The love of God will become a passion for us: it will burn in our hearts; and it will be unthinkable for us to offer Him anything less than complete obedience and dedication. Joshua the High Priest was promised access to heavenly realms if he would walk in God’s ways and perform Gods laws: we know the same offer is open to us. Once we have tasted of that, how could we turn away? 38. The Joshua Generation will warn the next generation about the dangers of compromise and going backwards. There is a real danger if you see all this and choose to walk away from it. Ian Clayton has talked about how the spirit of antichrist is those who walked with the church and then turned away to start sowing false teaching. Once we get here, there is no going back. For if you ever go back and cling to the rest of these nations, these which remain among you, and intermarry with them, so that you associate with them and they with you, know with certainty that the LORD your God will not continue to drive these nations out from before you; but they will be a snare and a trap to you, and a whip on your sides and thorns in your eyes, until you perish from off this good land which the LORD your God has given you (Joshua 23:12-13). 39. The Joshua Generation will charge the next generation to never stop waging war. The fight goes on until the Kingdom of God fills the earth, until the glory of God fills the earth, and Jesus returns. Meanwhile, we cannot let up, we cannot compromise, we cannot stop fighting, we cannot let down our guard; and neither can the generation that follows us. Now it came about after the death of Joshua that the sons of Israel inquired of the LORD, saying, “Who shall go up first for us against the Canaanites, to fight against them?” (Judges 1:1). They continued to enquire of the Lord. They did not say, ‘Now that Joshua has gone, we can do our own thing’. The war was still ongoing, even though we have read that Joshua gave them the whole land (Joshua 11:23). The Canaanites were still out there in the rest of the world, and they were still enemies of Israel, and of God. Israel were heirs of the world, intended to be a blessing to it. They were supposed to take that blessing out into the whole world. Obviously, they didn’t do that. They stopped short, even though God had said “but indeed, as I live, all the earth will be filled with the glory of the LORD” (Num 14:21). The mountain, the place of authority; the house of the Lord – these are all in the heavenly realms. Then it is worked out in this realm, as all the hills – all the other earthly authorities – start streaming to the church. Because we are living in the fullness of our sonship, because we start to radiate the goodness of God, because we start to manifest light, and live in creative light, not just created light. There is some awesome stuff coming, but we need to be prepared. There will be no end to the increase of His government and peace, to establish it and to uphold it with justice and righteousness from then on and forevermore. The zeal of the LORD of hosts will accomplish this (Isa 9:7). Justice and righteousness are the foundations of the throne of heaven, foundations of the throne of the kingdom. God is going to accomplish this: He will have His way. 40. The Joshua Generation will set a clear choice before the next generation. They can choose the past, or they can choose to walk in their future destiny. There is so much that we already have, that we already know and enjoy, and it is good. People can choose to stick with that – but if they do, they will miss God’s best. We don’t want to take possession of what God has given us, and then settle. Our influence has to increase and grow, because it is the nature of God that He wants to fill the earth with His glory. Now, therefore, fear the LORD and serve Him in sincerity and truth; and put away the gods which your fathers served beyond the River and in Egypt, and serve the LORD. If it is disagreeable in your sight to serve the LORD, choose for yourselves today whom you will serve: whether the gods which your fathers served which were beyond the River, or the gods of the Amorites in whose land you are living; but as for me and my house, we will serve the LORD (Joshua 24:14-15). We are coming to a close now, not just of these posts about the Joshua Generation, but of the whole 15-month series on the Prophetic Timetable. Next time we will begin something new, but for now I want to leave you with this: Joshua was 110 years old before he died, having fulfilled his destiny. There is time for all of us who are called to this purpose to raise up and release the next harvesting generation. Joshua did it: God wants us to do it. Whether it is to be that Joshua generation who take our inheritance and bring others in, or whether it is to be part of the next generation, the Jesus generation, who will see Him return: God wants to reveal to us our destiny, and to see us fulfil it. We are approaching the end of this series looking at the generation who will possess all that God has promised, and be forerunners who inspire others to do the same. 31. The Joshua generation will be ruthless in the pursuit and eradication of the enemy. Again, we are not talking about fighting against flesh and blood, but that we must not compromise in dealing with the spiritual forces of wickedness. We have to be ruthless. No compromise. We can’t live alongside them; we can’t share thrones with them; we have to destroy them. Joshua captured all the cities of these kings, and all their kings, and he struck them with the edge of the sword, and utterly destroyed them; just as Moses the servant of the LORD had commanded… For it was of the LORD to harden their hearts, to meet Israel in battle in order that he might utterly destroy them, that they might receive no mercy, but that he might destroy them, just as the LORD had commanded Moses (Joshua 11:12, 20). This is a picture of something they did in the natural realm and we must do in the spiritual realm. When we do, it gives us authority in this realm: authority to rule. 32. The Joshua generation will ensure that nothing God commands will be unfinished. We need to be faithful in carrying out God’s commands, and carrying them out fully. We need to persevere. Just as the LORD had commanded Moses his servant, so Moses commanded Joshua, and so Joshua did; he left nothing undone of all that the LORD had commanded Moses (Joshua 11:15). We need to fulfil the word of God. If we are to take the commands of God, the counsels of God, and fulfil them, then we must know them. And knowing them involves much more than head knowledge. We need to read the word of God, then go into heaven with it, get revelation on it, and bring it back down here. 33. The Joshua generation will bring the next generation into their full inheritance and rest. So Joshua took the whole land, according to all that the LORD had spoken to Moses, and Joshua gave it for an inheritance to Israel according to their divisions by their tribes. Thus the land had rest from war (Joshua 11:23). He took everything that was promised: the whole of the land. Now that should have been the starting point for them to go into the rest of the world, and bless the whole world. Remember, Abraham was given the whole world as his inheritance, not just a tiny piece of land in the Middle East. They were supposed to go from that place to fill the earth: they never did it. So the kingdom was taken away from them and given to a people who will. Jesus said He had been given all authority in heaven and on earth, and that his followers were to go and disciple the nations. That is the same authority in heaven and on earth: it is authority granted in heaven to be outworked on earth. This scripture says they had rest. In one of my face-to-face encounters with Jesus, he took me and showed me the seat of rest: what it is to come from a position of rest. He taught me from Matthew 11 and from Hebrews 4. Everything we do must come from rest. From peace, from wholeness, not striving or struggling; not being weary and heavy-laden in our own strength. Everything needs to come out of rest; then we are doing things in the strength of God. Take my yoke upon you and learn from me, for I am gentle and humble in heart, and you will find rest for your souls (Matt 11:29). The word translated ‘gentle’ here is the word for a stallion under complete control, a wild stallion which has been broken and has a bit in its mouth, so that whoever rides it is able to control it. That is like us, knowing that we are a wild stallion, empowered with authority, but totally submitted like Jesus was to the Father: ‘I only do the will of Him who sent Me’ (see John 4:34 and 6:38). In complete surrender you can come from a place of rest. 34. The Joshua generation will have supernatural strength for war. They will be like Caleb, who at 85 years of age was still going in and out to fight. So, let’s understand, none of all this is about age: it is about who we are and what we are in the spirit. No matter what our physical age is, in the spirit we can have rulership and strength to overcome. I am still as strong today as I was in the day Moses sent me; as my strength was then, so my strength is now, for war and for going out and coming in. Now then, give me this hill country about which the LORD spoke on that day, for you heard on that day that Anakim were there, with great fortified cities; perhaps the LORD will be with me, and I will drive them out as the LORD has spoken (Joshua 14:11-12). Caleb and Joshua, as we saw in characteristic #7, had a different spirit on them. They had an attitude. They were going to rule. They came with authority and power. Let me ask you this: when Caleb talked about going out and coming in, where do you think he was going out and coming in from? It was the heavenly realms, because that is where his strength for war came from. If you go up and down, you will be able to go to and fro, as we have seen before. One of the things I really like about Caleb is where he went when he did go out to war: to the mountains! ‘Give me this hill country’. Because in the hills, in the mountains, (in the place of authority, as we now understand) was where the giants were. He wasn’t going to settle for the easy places, where there was no-one much to conquer. 35. The Joshua generation will be giant killers, forerunners for the next generation. I have a sword, which enables me to destroy and cut the heads off giants. All of us need to be giant-slayers. You all have giants who are occupying your thrones in the heavenly realms – that is, unless you have already been there and dispossessed them. You have to dispossess the enemy in order to possess your inheritance. In the heavenly realms is where you do it, and then you outwork your inheritance here. We have to do that in our role as forerunners. We have to take our place of authority. We can’t pass this on as theory: it has to come out of our experience if we are to lead others into it. I can only talk about giant-killing like this now because I have been and killed one. I couldn’t talk about it before. I am not going to talk to you about theory, I am only going to talk to you about things I have done, and about places I have been, so that you can go there too. And if you go to places I haven’t been, and do things I haven’t done, then you can testify to those so that I can get to go there and do them too. That is how testimony works: it opens up my experiences for you, and yours for me; ours for others, and theirs for us. And so we overcome by the word of our testimony. Caleb drove out from there the three sons of Anak: Sheshai and Ahiman and Talmai, the children of Anak (Joshua 15:14). There are 9 races of giants, which arose from the activity of fallen angels who did not keep their proper place, as we read in Jude. Nephilim did not have human spirits, so when they died they went into the heavenly realms, where they occupied mountains and thrones. 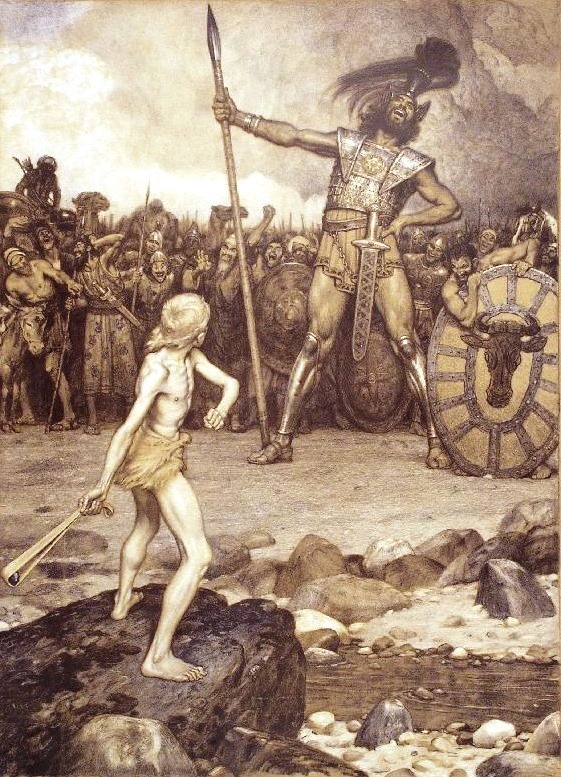 If we are to take our place of authority, we need to kill the giants. And if we are to fully receive our inheritance we will need to kill dragons as well, because if you go into the heavenly realms you are going to come across them too. I know maybe all this is a bit ‘out there’ for you, but I have seen it, and so I can tell you about it. It really is up to you what you do with it – I would suggest you go to God yourself and ask Him to show you. Dragons are another result of Satan’s attempts to manipulate DNA. In the garden, Satan overshadowed Eve. That was what the fruit was all about: it wasn’t like eating an apple off a tree; it was an overshadowing where he mixed DNA. Cain and Abel were twins, but one of them had Satan as his father. That is why Cain killed Abel, to stop the line of Adam going forward, so that the reptilian line could fill the earth. DNA is important, because only DNA could occupy the realms of heaven. Only DNA could inherit. So Satan needed DNA – he had tried to manipulate it in the first creation, where his pollution of reptilian seed outworked in the dinosaurs. When those dinosaurs died, their spirits became dragons, in the heavenly realms. Dragons occupy our inheritance. When we cut off their head, let’s make sure we cut off their tail, split them open and get out everything that is in their belly: our scrolls, and all that God intended for us to have. That is what they do: they stop the provision and the inheritance of God coming through to us. We need to kill the giants to take our place of authority; and we need to kill the dragons to receive our inheritance. Joshua led the children of Israel into their inheritance. If we want to do the same, what kind of people should we be? 26 The Joshua generation will start to be known and get public attention. Before the revival we experienced here in 2011, virtually no-one outside of North Devon knew we even existed. Suddenly, because of what God began to do here, all kinds of people noticed us, from all over the country, and began to look to build relationship with us. And some of the other things which have happened since – not least Ian Clayton coming here, and then mentioning us wherever he went – have made us known in countries all over the world. 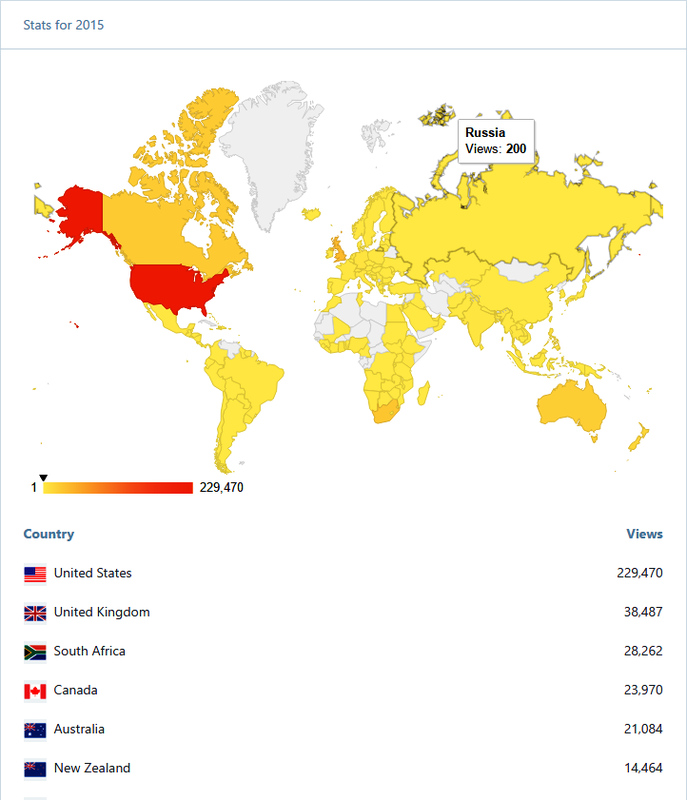 This blog gets hits from the UK and Europe, but also from Africa, America, Australia, Russia and the Far East. Hundreds worldwide have joined our Engaging God programme, and thousands subscribe to the YouTube channel. Who would have expected that? It certainly was not of our own devising. God has a reason for it. He wants us to help other people come into the revelation we have received, and He wants us to equip and enable them to enter into their own inheritance. So the LORD was with Joshua, and his fame was in all the land (Joshua 6:27). Now, ultimately none of this is really about our fame – it is about God’s fame. We are here to make God known in all the earth. But we will have public recognition along the way, and that will bring public battles. Those battles will happen because what we are bringing will cause a reaction both in the spiritual realm and in this one. All sorts of criticism and all sorts of accusations will be made because of what we are doing. A lot of people do not understand, yet. They will say we are doing things by New Age or occult power. They said that about Jesus, too, and we need to be ready for it. We need to be confident in our identity and in the revelation God has given us. We will be in the public eye, one way or another. So we have to make sure there is absolutely no pride in what we do. We need to be humble. It is about what God is doing, not about what we are doing. It is all about Him, but he uses us. Therefore we must rule our house, and deal with anything of sin or iniquity in us, deal with any stumbling blocks in our own lives. If we have a need for affirmation or recognition from men, we are going to have to deal with that, because it is affirmation from God that we really need. And if we do receive affirmation and recognition from people, let us receive it with thanks, but then go and trade with it on the trading floors of heaven. Go and cast your crowns before Him. 27 The Joshua generation will take a radical stand against sin. Sin is going to get exposed. It is already happening, always has. But the whole angelic realm are going to become active in exposing sin. “Rise up! Consecrate the people and say, ‘Consecrate yourselves for tomorrow, for thus the LORD, the God of Israel, has said, “There are things under the ban in your midst, O Israel. You cannot stand before your enemies until you have removed the things under the ban from your midst.”’ … It shall be that the one who is taken with the things under the ban shall be burned with fire, he and all that belongs to him, because he has transgressed the covenant of the LORD, and because he has committed a disgraceful thing in Israel” (Joshua 7:13, 15). We cannot have things in our midst which stop us standing in victory against the enemy. We need to see those things removed. That is part of the function of those gathering angels, who are removing stumbling blocks from among us. Purification, refining: the heat of God’s furnace is being turned up, in order to bring all the impurities in the gold to the surface. Then, when they are skimmed off, the surface of gold is an absolute mirror which is reflecting the glory of God. That is what our lives are there to do: to reflect the glory of God – to reflect what is in heaven – on earth. We are coming into a time when the story of Ananias and Sapphira is going to become very important to understand. They lied to the Holy Spirit and dropped down dead. When we start to enter into these things which God is revealing, suddenly the levels of responsibility go up. And with more responsibility, certainly there is more authority and power – but the level of purity and holiness required to operate in that dimension also is greatly increased. I am responsible to enter into the fire of God myself. And I am putting it out there for you too, but it is up to you what you do with it. I have discharged my responsibility, you must decide how you will respond. Are you going to enter the fire? Either way, the consequences are yours. 28 The Joshua generation will be careful to always seek counsel from God before making decisions. It is dangerous for us to do things here on earth (going to and fro) without first having been in heaven. We must not do it. So the men of Israel took some of their provisions, and did not ask for the counsel of the LORD. Joshua made peace with them and made a covenant with them, to let them live; and the leaders of the congregation swore an oath to them (Joshua 9:14-15). They made a covenant with a people who tricked them, who pretended not to be inhabitants of the land, but to have come from a long way off. And Joshua did not lift up his eyes into the heavens to see. This covenant with the Gibeonites was a problem for Israel for generations to come. They made a covenant with the enemy, because they did not seek God first. We must not make decisions based on what looks right. Looks can be deceiving. We cannot trust our natural eyes: we need to see in the realms of the spirit if we are to make right decisions. Getting our strategy direct from heaven is the only course that will keep us safe. 29 The Joshua generation will put the enemy under their feet. The enemy here is not people. We do not put people under our feet. We do not tread all over people. We do not tread people down. We honour and respect people. We bring people from captivity into freedom. That means we do cast out demons, we do demolish strongholds, we deal with a spiritual reality which is beyond what we see in the natural. We need to see the giants defeated, and the dragons, and all the other principalities and powers and rulers in those dark realms. So we have to put the enemy under our feet. When they brought these kings out to Joshua, Joshua called for all the men of Israel, and said to the chiefs of the men of war who had gone with him, “Come near, put your feet on the necks of these kings.” So they came near and put their feet on their necks. Joshua then said to them, “Do not fear or be dismayed! Be strong and courageous, for thus the LORD will do to all your enemies with whom you fight” (Joshua 10:24-25). Through the power and victory of the cross, Jesus made a public spectacle of all the demonic realms, and they are no longer in authority. We have authority over them. We may not yet have taken proper hold of that authority, but we are beginning to do so. We have to rule over them, and put the rulers in those realms under our feet. 30 The Joshua generation will operate in great signs and wonders. Then Joshua spoke to the LORD in the day when the LORD delivered up the Amorites before the sons of Israel, and he said in the sight of Israel, “O sun, stand still at Gibeon, And O moon in the valley of Aijalon.” So the sun stood still, and the moon stopped, Until the nation avenged themselves of their enemies. Is it not written in the book of Jashar? (Joshua 10:12-13a). A supernatural event: time stood still. It gave them opportunity to defeat their enemy. (The book of Jashar mentioned here, by the way, was excluded from the canon of scripture by the Nicene Council, operating under the authority of the Emperor Constantine. He did not want any of this stuff to be known, because he did not want ordinary believers to know they could rule. He wanted to rule, through the pastors in the church whom he paid; and that gave rise to the institutional structure that we still have to see dismantled today. Get the CD, as Ian Clayton says – he did a whole session on that. They tried and failed to get 1 and 2 Peter thrown out too, and the book of Jude (which says some very interesting things you don’t find elsewhere in scripture). Those books talk about entering these realms, about operating in authority and power in the heavenlies. But there are a whole lot of books that used to be regarded as scripture which did not make it into our canon because the enemy did not want them there). And the sun stopped in the middle of the sky and did not hasten to go down for about a whole day. There was no day like that before it or after it, when the LORD listened to the voice of a man; for the LORD fought for Israel (Joshua 10:13b-14). The veil is open: in the spirit we can walk through that veil which is Jesus’ flesh, into the heavenly realms. So we can live there. There is a whole dimension here that we need to enter into. The Promised Land is not just about here on earth, it is about bringing heaven to earth. As we saw last time, if we are to be truly effective we have to learn to rule in the heavens and then bring that authority to bear in this realm. Today we will return to looking into the characteristics of the Joshua Generation again, but as we do, I want to encourage you to look at them from that perspective. First, though, let me mention another Joshua for a moment, to help us grasp all this. This is a much later Joshua, who was the High Priest, being called to enter the heavenly realms. ‘And the angel of the LORD admonished Joshua, saying, “Thus says the LORD of hosts, ‘If you will walk in My ways and if you will perform My laws, then you will also govern My house and also have charge of My courts, and I will grant you free access among these who are standing here’”’(Zech 3:6). ‘If you will walk in My ways and if you will perform My laws’: those are the things we do here, in this realm. We can read Psalm 119:1-40 to understand more about His ways: His ordinances, His character, His nature. It establishes precedent when we fulfil the ways of God. Then it talks about performing His laws: if we follow the principles of the kingdom, here in the earthly realms, we will see manifestation of the kingdom on earth as it is in heaven. ‘Then you will also govern my house’: ruling the house is something to be done in the heavenly realms. The house of God is a dimension of the realms of heaven. And we are also a house, a dwelling place, for God. ‘You will also have charge of my courts’: the courts of heaven are where God administers justice, and the jurisdiction of God’s kingdom, manifested in the heavens, can be outworked here on earth. ‘And I will grant you free access among these who are standing here’: standing before the throne, in heaven. The High Priest had access to come into the very presence of God. If we are able to govern the house, and take charge of the courts, we will have access to stand in the presence of God. In His personal presence, not just His Presence. It is the difference between smoke and fire. Smoke tells you there is a fire. The Presence of God that we experience here in worship is like the smoke. But beyond that there is his Person, which is the fire. This passage in Zechariah is describing protocols which we must go through in order to be able to stand in the fire. 21 The Joshua generation will encourage people to hear the word of God directly. It is important for us as individuals to come and hear the words of God for ourselves, and to train up others to do so for themselves too. We need to come before the throne, to come into the courts, to rule the house. My intention in doing so myself, and teaching it to you, is that I bring you into it. Entering into the realms of heaven is for all of us. Separate to that, I have a role which is to bring signs and wonders and miracles and healing. I am going to pursue that for myself. But you, too, need to find out what is written on your scroll, and pursue that for yourselves. We each need to fulfil the scroll of our destiny (which we can find in the heavenly realms), read it, eat it, get it inside us, into our heart, and start outworking it. 22 The Joshua generation will be honoured and respected by the next generation. There is going to be a culture of honour. Jesus said, “if you receive a prophet in the name of a prophet, you will receive a prophet’s reward” (Matt 10:41). We have to receive people in their gift and calling in order to receive the reward in our own lives. We want to honour one another and receive one another, because every single one of us have gifts and calls, and we must look to help one another fulfil those and work them out. On that day the LORD exalted Joshua in the sight of all Israel; so that they revered him, just as they had revered Moses all the days of his life (Joshua 4:14). 23 The Joshua generation will free the next generation from the reproach and effects of the past generations, into new revelation of past activities. ‘Now when they had finished circumcising all the nation, they remained in their places in the camp until they were healed. Then the LORD said to Joshua, “Today I have rolled away the reproach of Egypt from you.” So the name of that place is called Gilgal to this day. While the sons of Israel camped at Gilgal they observed the Passover on the evening of the fourteenth day of the month on the desert plains of Jericho’ (Joshua 5:8-10). There are things we have done, and things that we have within God’s kingdom and within the church, in which we have operated up to the level of revelation we previously had. But now everything is moving up to a higher level. Here they celebrated the Passover and re-instituted circumcision, which they did not do in the wilderness. They came to consecrate themselves to God; the reproach of the past was wiped away, the stumbling-blocks were removed, the purifying and refining was taking place. When we come into new revelation, even in the things that we have done already we will begin to appreciate new levels of meaning as God opens them up to us in their fullness. 24 The Joshua generation will operate with the angelic realm. This is something which causes Christians a lot of needless problems and argument. ‘Why do we need angels when we have the Holy Spirit?’ – you know the kind of thing. Angels and the Holy Spirit are completely different. Angels have a completely different purpose and function. And in fact all angels have their own particular functions. For example, one night when Ian Clayton was here, he dropped frankincense on the floor and the aroma of it filled the room. It took me into the realms of heaven and I saw a canopy, and big angels being released from the throne. They had huge wings, and razor-sharp feathers which I could tell they were going to use as weapons. I knew instinctively who they were: they were the hunter angels. They go out to bring in a harvest. Their weapons are about cutting blindness off people’s eyes, which would prevent them from seeing and responding to the truth. And God is releasing them right now. They are different from the gathering angels, and the watcher angels, and other angels that we see. You notice, we even describe them by their function. Now it came about when Joshua was by Jericho, that he lifted up his eyes and looked, and behold, a man was standing opposite him with his sword drawn in his hand, and Joshua went to him and said to him, “Are you for us or for our adversaries?” He said, “No; rather I indeed come now as captain of the host of the LORD.” And Joshua fell on his face to the earth, and bowed down, and said to him, “What has my lord to say to his servant?” The captain of the LORD’S host said to Joshua, “Remove your sandals from your feet, for the place where you are standing is holy.” And Joshua did so (Joshua 5:13-15). When you read that he ‘lifted up his eyes’, it means he was looking into the heavens, and seeing into another realm, another dimension. As you read the scriptures again, you will see examples of this in other places too, such as when Abraham ‘lifted up his eyes and looked’ and saw the three men standing opposite his tent (Gen 18:2). And in this passage, the captain of the host goes on to give Joshua strategy that will help him be victorious and successful. When we praise God, that high praise releases some of these angels. Read Psalm 149 and you will see more about that, how we execute judgments that are written, how we execute vengeance upon the enemy. We are not fighting against flesh and blood. Earthly strategy just won’t cut it. 25 The Joshua generation will hear God’s strategy for warfare. The LORD said to Joshua, “See, I have given Jericho into your hand, with its king and the valiant warriors. You shall march around the city, all the men of war circling the city once. You shall do so for six days. Also seven priests shall carry seven trumpets of rams’ horns before the ark; then on the seventh day you shall march around the city seven times, and the priests shall blow the trumpets. It shall be that when they make a long blast with the ram’s horn, and when you hear the sound of the trumpet, all the people shall shout with a great shout; and the wall of the city will fall down flat, and the people will go up every man straight ahead” (Joshua 6:2-5). When God said, “See”, how could Joshua see that? It hadn’t happened yet. The answer is that God was showing him in the realms of heaven what would happen. It is just like when Jesus said He did the things He saw the Father doing (John 5:19). In what realm did He see the Father doing them? The Holy Spirit will disclose things which are to come, before they actually happen, because we see – and can step into – a different realm. Again, when this passage talks about a city with its king and its warriors, we can understand that solely in the natural realm. But above and beyond that, in the realms of the heavens, there are also mountains, and rulers and kings. We need to deal with them in that realm in order to deal with their counterparts in this realm. As I wrote last time, that is why we may historically have struggled to overcome in this realm – it is because we cannot do so effectively without dealing with the heavenly realm first. Like Jesus, we also need to see what the Father is doing, in order to bring it to earth. If that is how Jesus operated (and He told us it was), then surely that is how we must operate too. Jesus lived constantly in two realms, in relationship with the Father. The strategy God gave for taking Jericho was very clear, and very detailed. And the strategy that Joshua received in the heavenly realms, he had to carry out in this earthly realm. We need to be able to do that, every day, all the time. That is what it means to be living in dual realms, to see what the Father is doing, to be constantly connected. And that is what it takes to bring heaven to earth. God is raising up a Joshua Generation in our day: a generation who will enter into their inheritance and enable others to do the same. We have been looking at some of the defining characteristics of such a generation and considering to what extent those characteristics can be seen in our own lives. 16. The Joshua Generation will be obedient to God’s direction. Only be strong and very courageous; be careful to do according to all the law which Moses My servant commanded you; do not turn from it to the right or to the left, so that you may have success wherever you go (Joshua 1:7). We know our God, and love Him; and because of that we want to serve Him. We want to do everything He is calling us to do, and to do it out of our love, our passion and our desire for Him. But we do need to be careful: with greater revelation comes greater responsibility. We cannot mess around with what God shows us. Ananias and Sapphira situations will take place again, and we should not be surprised if people who lie to the Holy Spirit drop dead as a result. If we are to operate in the fullness of God’s power in the coming days, then the level of holiness required of us is going to go up, off the scale. That is both because of the level of revelation we are beginning to enter into and because of the kind of people we need to be. For those who hear, but turn back (rather than being ‘careful to do’), there is a danger – and we need to be aware of it. To avoid the danger, we must be ready to do all that God is calling us to do. Yet not out of fear, but out of love. 17. The Joshua Generation will be prosperous and successful. You see, if we are able to meditate and obtain that revelation from God, and if we are careful to do the things that God reveals to us, it will give us success. This generation are willing to press in and receive. We will learn to overcome and we will learn to prosper. Prospering is not just about financial things: the word means ‘to succeed to the highest level’. And we need to succeed to the highest level in the spiritual as well as in the natural realm. If we are receiving wisdom and revelation to the highest level, then as a result of that we will be prosperous and successful. Everything around us may be falling apart, and it will do so when the world’s systems crash, but we need to be able to operate in God’s systems, in God’s kingdom. The financial system is just one example of this, in which we may well need to learn to do miracles and to multiply things as Jesus did. Jesus told Peter to find a coin in a fish’s mouth to pay their taxes. There may be occasions when we too can do something like that and supernaturally find finance. And we must stop saying, ‘Oh, but that was Jesus’. Everything Jesus did, He did as a model for what we should do. He said we would do the things He did, and greater things (John 14:12). 18. The Joshua Generation will know that they walk with God. We need to walk with God as our daily lifestyle. Have I not commanded you? Be strong and courageous! Do not tremble or be dismayed, for the LORD your God is with you wherever you go (Joshua 1:9). When we are walking on the path that God has prepared for us, when we are walking in our destiny, then we know God is with us. And we need to know what is our destiny, what is written on our scroll: and if we do not know, then we can ask God to show us. Psalm 23 is a key to this lifestyle of walking with God, to finding rich nourishment in those green pastures, to seeing our true image in those quiet waters of reflection. And we need to know that even though we walk through the valley of the shadow of death – which is just daily life, really – that God is with us all the way. His rod and His staff (His word spoken to us and His Spirit leading us), they comfort us. He anoints us; our cup overflows. I want to encourage you to get hold of this psalm, to meditate on it and draw out the truth from it; because God is with us, and His goodness and mercy and lovingkindness will follow us, and will be identifying features of the way we live our lives. 19. The Joshua Generation will be equipped to prepare provisions, to live by faith. Pass through the midst of the camp and command the people, saying, “Prepare provisions for yourselves, for within three days you are to cross this Jordan, to go in to possess the land which the LORD your God is giving you, to possess it” (Joshua 1:11). We have to be able to teach people to live under the provision of God. Each one of us is responsible to possess our own inheritance. We each need to be equipped with the weapons we will need, the revelation we need, the lifestyle we need. God will provide everything we need to take the land, to take possession of all that He intends for us and has promised to us. We need to know how to access that provision, to take hold of it for ourselves, and to teach others to do the same. 20. The Joshua Generation will equip the people to be consecrated (or sanctified) – set apart, dedicated and holy. Then Joshua said to the people, “Consecrate yourselves, for tomorrow the LORD will do wonders among you” (Joshua 3:5). This is where many of us are in the process. When Israel were at Gilgal they dealt with the things from the past, embraced fresh revelation of the truths they had lost sight of, and were set apart for the purposes of God for their generation. Do you want to hear ‘Well done, good and faithful servant’? Do you want it said of you that, like David, you served the purpose of God in your generation? I do. I want to serve the purpose of God in this generation that I am called to be part of, and I believe that God wants to raise up a whole people who desire to do the same. Consecrate yourselves, for tomorrow the LORD will do wonders among you. We are halfway through this mini-series on the Joshua Generation. Are you ready to be part of the Joshua generation? Are you ready to be equipped by the Joshua generation? If so, I urge you to get hold of these things and press in. And over the next few weeks, we will look at the next 20 characteristics and begin to press into those too. Image: The text on the ‘Still Waters’ image at the head of this post is from God Believes In You by Francois du Toit (the author of The Mirror Bible).